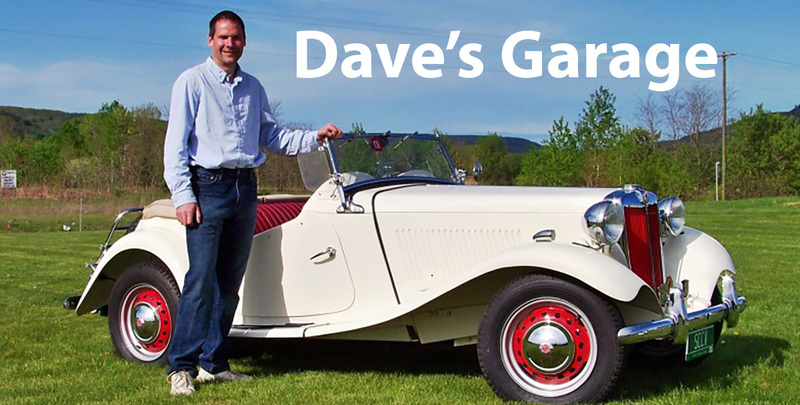 Several months ago I received an email from a Vermont high school student through my MG club’s website. This high school senior ex-plained that to graduate from high school, the school required seniors to complete a senior project. This project required an adult to mentor them and guide them through the project. 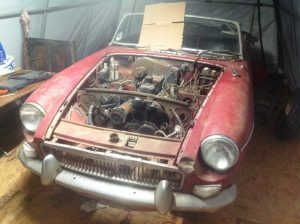 The project is a 1964 MGB that has been parked in a wood shed for decades. The car was not put into storage, it was simply parked. To get the car running, all of the fluids needed to be changed, the front suspension needed to be overhauled, the carburetors needed to be rebuilt, the fuel pump and fuel lines needed to be replaced, the radiator and the water pump needed to be replaced, and the brakes needed a thorough overhaul. I have assisted this high school student with the project for the last few months. The car is almost road worthy. The initial startup is only days away. This project is very important to me for several reasons. It is very rare to find a high school student with an appreciation for auto-mobiles, and an interest in learning how they work and how to maintain them. 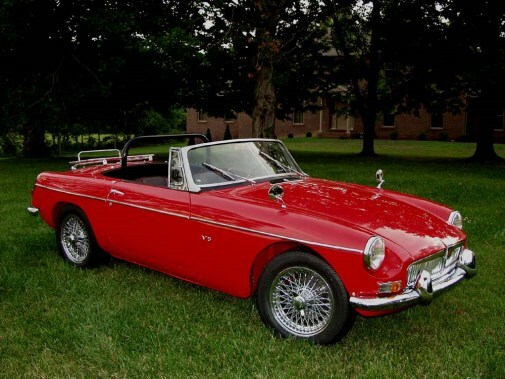 I am enjoying the opportunity to teach a teenager how to maintain a car, and I am also glad to be returning another MG sports car…. back on the road. The really nice part of this story? This high school student knows how to drive a standard, and she is a woman. The picture below is one found by Wheel Tracks on line. What a beauty. The car to the left might be like this someday. How many of you would like to know more about this high school student and her plans for the future. Is she at one of Vermont’s Career Centers. Maybe if we ask Dave ‘real nice’ he could ‘author’ something for us. Probably because I just celebrated (I use that word loosely) my 69th birthday, I got to thinking about the past and what my children and grandchildren have and are missing out on. Last Tuesday, while sitting with fellow ‘hookers’ (rug) and watching the snow come down, my thoughts ran to cardboard. I’m sure you are saying the same as a couple of the ‘younger hookers’ in the room (they are in the late 50’s) “cardboard”? At the time I didn’t realize I had said the word out loud. It certainly wasn’t a subject that had come up before and believe me we cover a lot of subjects! Yes, cardboard. Haven’t you ever gone looking for or in off seasons kept your eye out for the perfect piece of cardboard for sliding on the snow. Cardboard works in just about every snow condition when Flexible Flyers and Toboggans don’t. Cardboard can carry one or more persons depending, of course, on the size and sturdiness of the cardboard piece. Blaze a trail and off you go, snow spraying your joyful face and maybe a little fear in your heart if the trail is a steep one. Then, at the bottom, you pick up your cardboard and truck to the top and do it all over again. 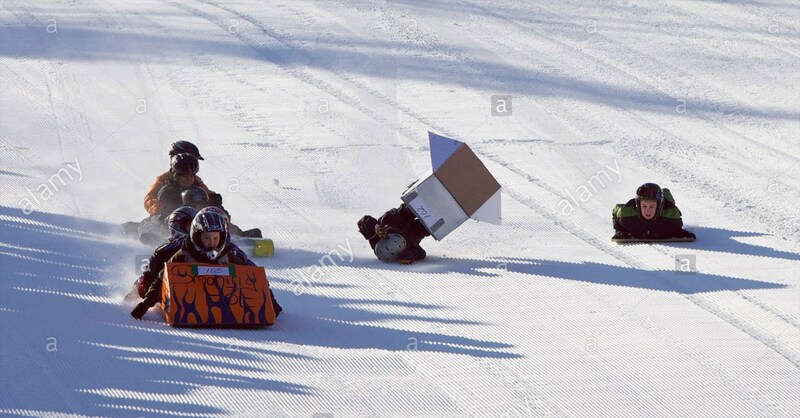 So, as you can see, cardboard could be the perfect sled, light, so portable, works in almost all snow conditions and when it wore out or got left behind or forbid, stolen, just find another piece. I spent the first 6 grades in a one room schoolhouse and our teacher, Mrs. White, let us use our ‘art class’ personalizing our piece. And I might add, we were ‘green’ before we knew we should be. 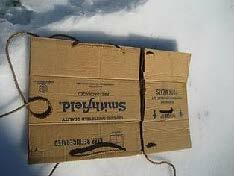 Cardboard left to the elements of snow and rain disintegrates and returns to the earth! How great is that? On our way to the movies Wednesday, looking out at what could be great sliding hills, the moon shone on what looked to me to be Nirvana- crust. This makes for a perfect sliding experience. My sliding days are over (at least the sliding that is fun) but I look back and remember what fun we had and if you used cardboard, no expense. Because of these memories, I never look at cardboard without evaluating it for its ‘higher purpose’.